A mother and son dance at a wedding reception is a moment they look forward to. Guest and bride and family love the connection and bond they have for each other. Capturing a traditional image is pretty much standard these days for any wedding photographer. For me my wedding photographs in Charleston, Sc and everywhere else as to be a fine art image, that must dramatic. My clients hire me as a wedding photographer because I am unique. I not only capture a moment like this but I have the many years of experience and art into creating a very artistic wedding photograph. 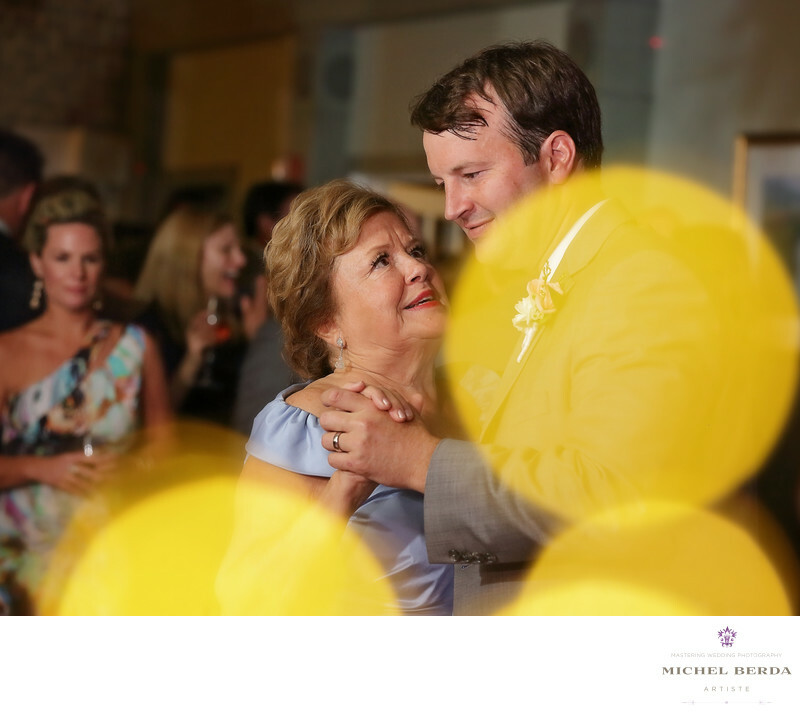 In looking at this image and romancing the light, I realized that I wanted to add a creative bokeh to the image and by adapting my creative juices and style of making a very compelling image, I was able to achieve this mother and son first dance in a very artistic way.Keywords: Charleston (1179), Charleston Wedding Photographer (24), harbour club (12), harbour club wedding (9), Michel Berda (1140), photographer (1125), Wedding Photographer (1254), wedding photographer Charleston (9), wedding photographer harbour club (9), Wedding photographs Charleston SC (3).